How do I change the number of comments displayed per page? 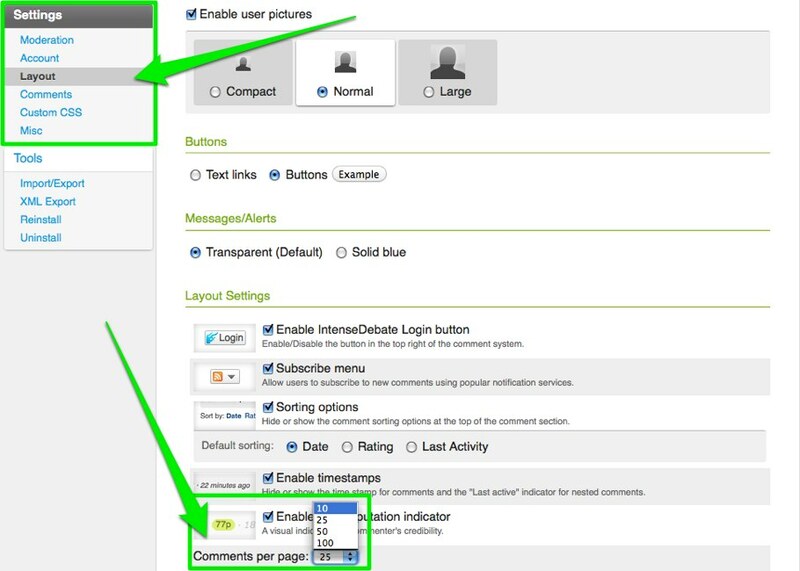 You change the number of comments displayed per page in your Layout Settings page at http://intensedebate.com/edit-site-layout. The default setting is 25 comments per page, and you can choose to display, 10, 25, 50, or 100 comments per page. Please keep in mind that displaying more than 25 comments may have an increase on load time. We are continuing our work to optimize this and improve load times for larger volumes of comments. Tags: Comments UI, Pagination, Threading — Can't find your answer here? Let us know.